DSIA opens its subsidiary in Moscow and thus structures its presence in Russia. Developing for more than 30 years long-lasting and high-performance software solutions for the Supply Chain, in SaaS mode, DSIA keeps on its international development and structures its presence in Russia by creating its subsidiary in Moscow. “We have been working for several years in Russia, notably for one of our major customers whom we have accompanied in the country during the restructuring of its logistics and stores’ supply. Once achieved deployment and stabilization of the operations phases managed by Logistar™, it appeared appropriate to us to set up a structure dedicated to the service of our Russian customers and users” relates André Suel, DSIA CEO. 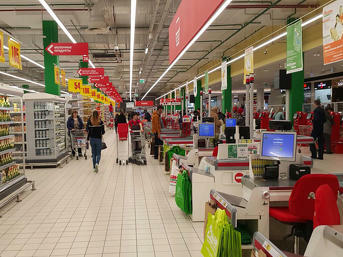 Today, deployed on four sites in the country (in the capital city as well as in Siberia), the Logistar™ OMS solution ensures the supply of fresh food products in 100 hypermarkets or so in Russia. In the four cities, the Logistar™ WMS solution helps control warehouses for these products and is used on a daily basis by providers of logistics. In recent months, DSIA Russia has strengthened its staff and employs a team of Russian technical experts offering its support services to users, as well as training and technical assistance. This skill team has been complemented by a Business Developer job created in order to drive the expansion of Logistar ™ solutions towards customers in the Russian market, whether international or national, relying on the availability of solutions in Russian Cyrillic and on existing references implemented in the country.